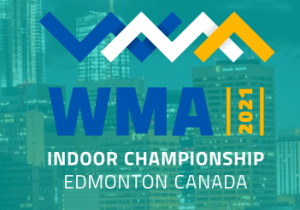 Upcoming Events for the WMA and our Regions, including Championships and General Assembly Meetings. 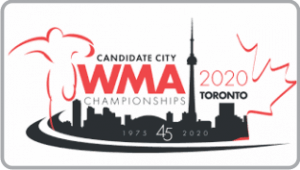 The Toronto WMA 2020 Championships Bid Committee is pleased to present you with a formal bid for the World Masters Championships. We are a group of dedicated and integrated volunteers who would like to see the world come to Toronto, to witness the highest calibre of Championship, to be part of a stunning display of athletics talent, and to take part in a cultural exchange that compares to no other. OUR MISSION: To provide a world class championship-calibre competition for athletes of all nations and of all abilities, and to embrace a multicultural, multi-racial, and multi-spiritual sports exchange which will foster better understanding across our diverse landscape. 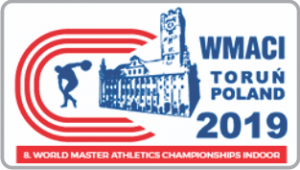 OUR PROPOSAL: On the web site you will find what we believe is an extraordinary opportunity to embrace both participation and elite athletics at a world level for masters-aged athletes, their families, federations, friends and spectators. We intend to build on past championships and establish a new standard for excellence both on and off the field of play, while providing all participants with a chance to enjoy a wonderful travel experience. Monday July 20 – Saturday Aug 1, 2020, with rest days on Saturday July 25th (Regional Meetings) and Thursday July 30th (General Assembly). FACILITIES: Our proposal incorporates Toronto’s three finest athletics venues, providing a world class environment for athletes of all nations. Joined by a brand new subway system, these venues will be easy to access from all parts of the city and from all accommodation options. Varsity Stadium, is located in the middle of the city as part of the University of Toronto. A second venue, located on the northern edge of the city at York University, is a state-of-the-art facility, having been built in 2015 for the Pan American Games which were hosted in Toronto this past year. The third venue is across the street from the new Pan Am Stadium and includes both an outdoor and an indoor facility. All three venues have a full complement of equipment and are capable of hosting national calibre competitions. NON-STADIA EVENTS: Cross country will take place at Centennial Park where many local, regional and provincial championships are staged. Road Race Walks will be held on Centennial Boulevard adjacent to the park. Road races will be hosted on Toronto Island on beautiful, flat and certified courses with an excellent view of the city. The Island is a short ferry ride from downtown Toronto and will provide a terrific stage for great competition and an afternoon at one of the city’s best summer get-away locations. OUR CITY: Toronto, with a population of 5.5 million, is Canada’s largest city and the 4th largest city in North America. It is an intimate metropolis offering world-class dining, shopping, architecture and entertainment. It takes pride in its vibrant sport and cultural scene and its many animated districts. It hosts an array of festivals, events and attractions. Toronto is the business center of Canada. Financial services, high technology, and insurance companies top the list of businesses represented there. The city is home to more top-ranked international companies than any other Canadian city. One of the most multicultural cities in the world —more than 140 languages and dialects are spoken here —Toronto is inspired and enriched by the passions and traditions of all the world’s cultures. A city of neighbourhoods, Toronto is home to over 100 different ethnic and lifestyle groups. The city sparkles with life; its center remains vibrant while its residential area consists of a patchwork of ethnically-flavoured neighbourhoods, including Chinatown, Little Italy, Greektown, and Little India, to name a few. Toronto is a safe destination. Fortune Magazine called Toronto one of the safest cities in the world and the safest major city in North America. With its low crime rate and visitor-friendly attitude, you can comfortably stroll along Toronto streets and travel on public transit at any hour of the day or night. Edmonton is more than 120 years old with history dating back thousands of years. Yet it is a young city, a progressive city, a spirited city that is always looking forward to the next unforgettable experience. Edmonton is home to North America’s longest corridor of connected urban parkland, which runs along the beautiful river valley – 22 times larger than New York City’s Central Park. Edmonton is home to North America’s longest corridor of connected urban parkland, which runs along the beautiful river valley – 22 times larger than New York City’s Central Park. The city lies on Treaty Six territory and is a proud yet humble community. The Indigenous people here believe in the spirit of Wicihitowin, which means “helping each other” – an adage that permeates this ancient gathering place and is the true spirit of Edmonton. Edmontonians know they’re better together. That’s why Edmonton has a trusted network of partners who all contribute to the success of events in the city. What defines Edmonton? In a place that was isolated many years ago, the people of Edmonton invented their own fun and their own solutions. Today, risk-takers and innovators thrive in a bizarrely cooperative city. With a vibrant metropolitan area filled with more than 1.2 million people, Edmonton has the heart of a big city but the character of a small town, and always welcomes visitors to come explore.